Halloween brings out the little child in all of us. 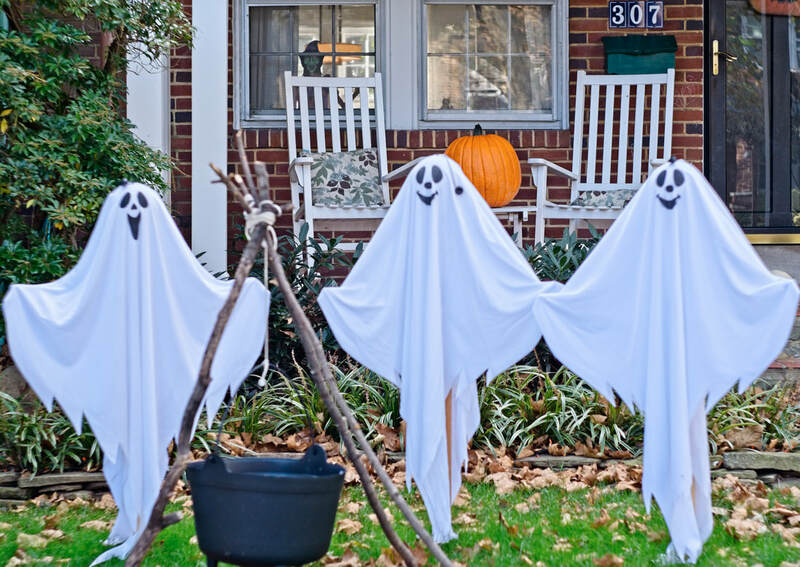 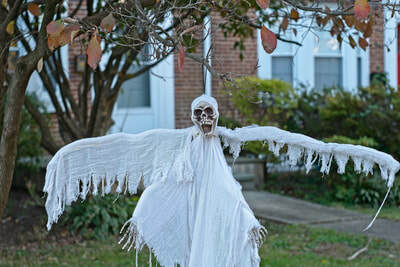 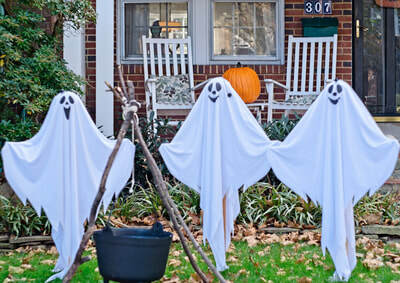 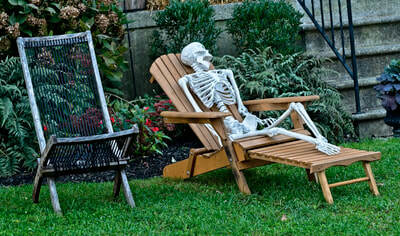 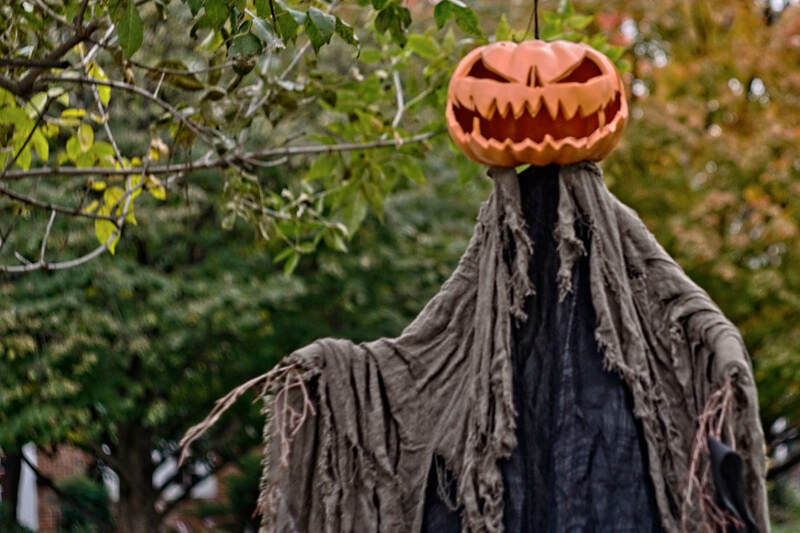 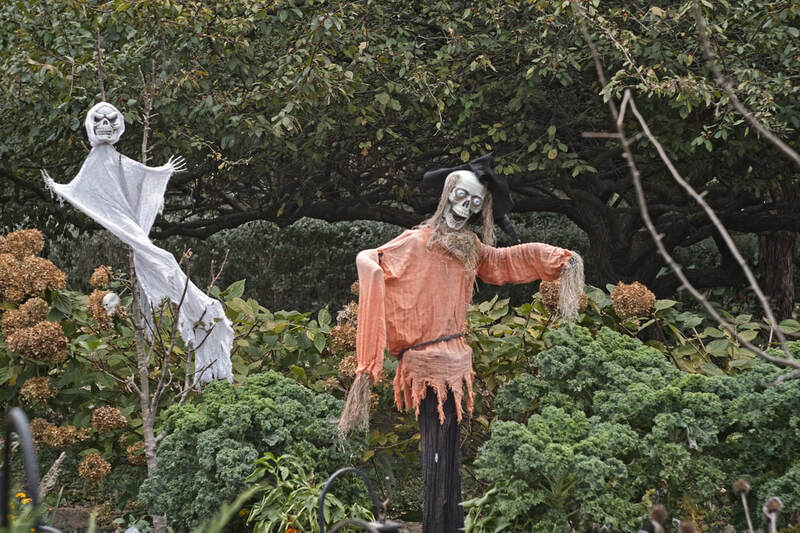 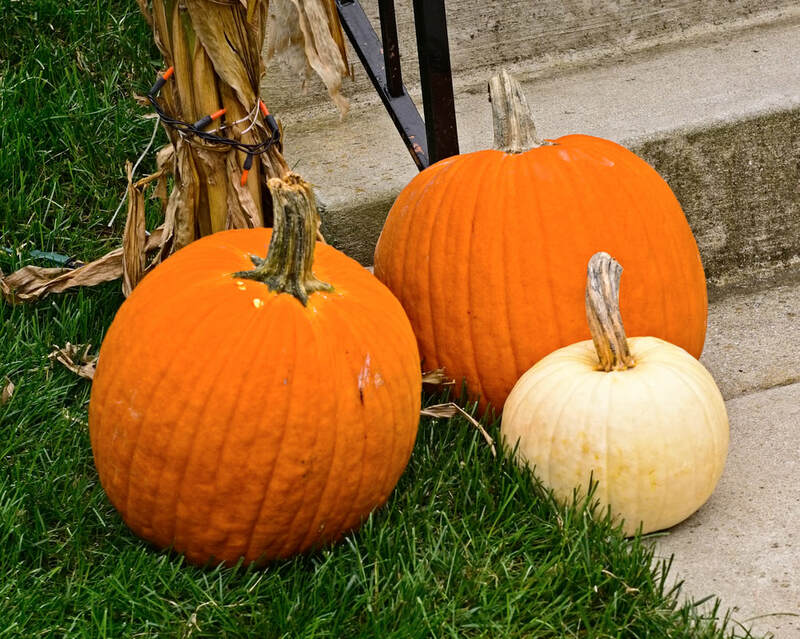 It's a time to decorate the front yards with evil spirits and to dress the children in trick or treat costumes. 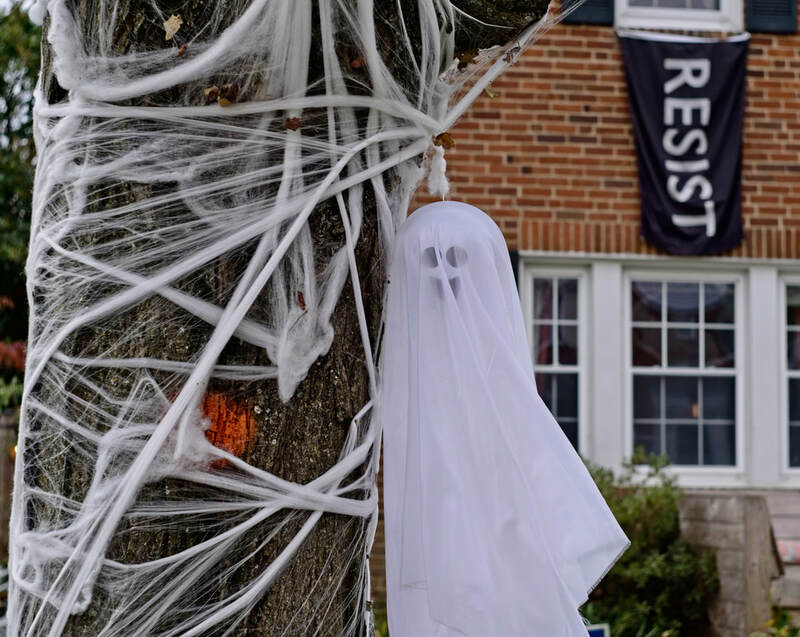 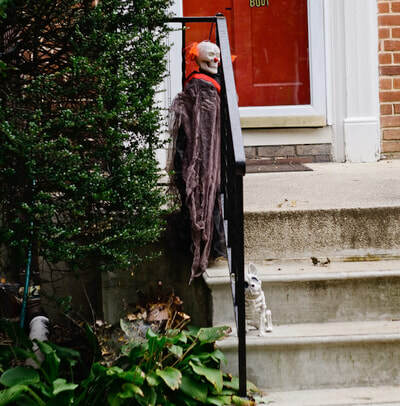 This series celebrates the careful planning and tremendous creativity that goes into decorating a neighborhood for Halloween. 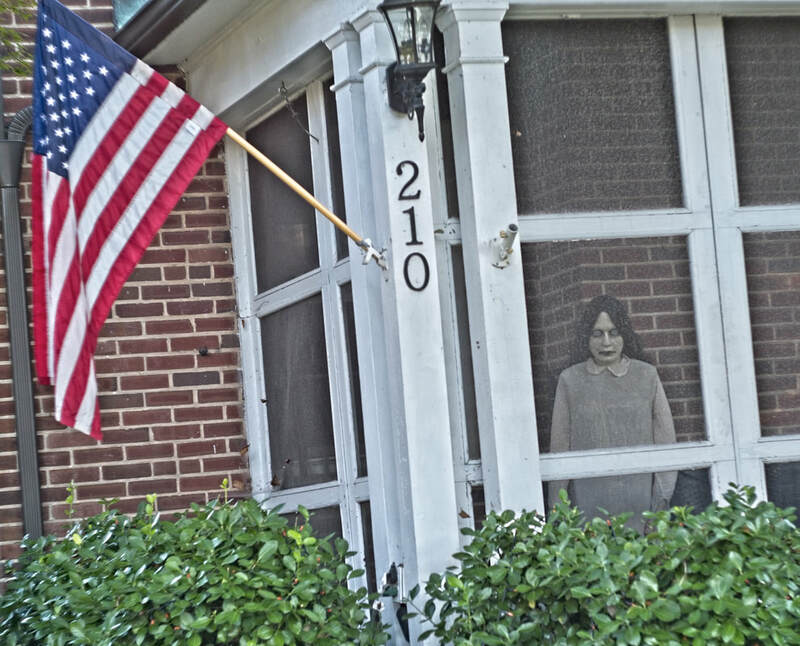 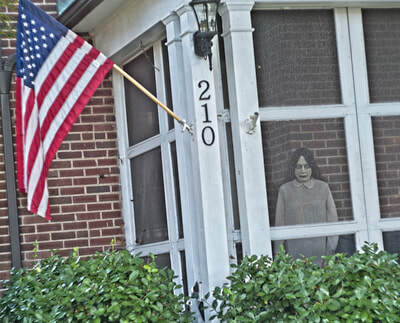 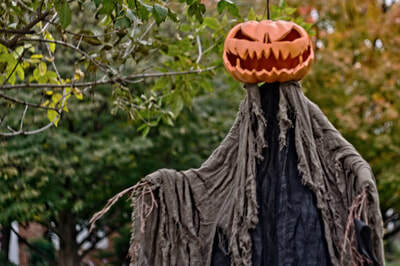 These images were shot in the days leading up to Halloween in October 2018 in Rogers Forge, Maryland. Rodgers Forge is a national historic district southwest of the Towson area in Baltimore County, Maryland. 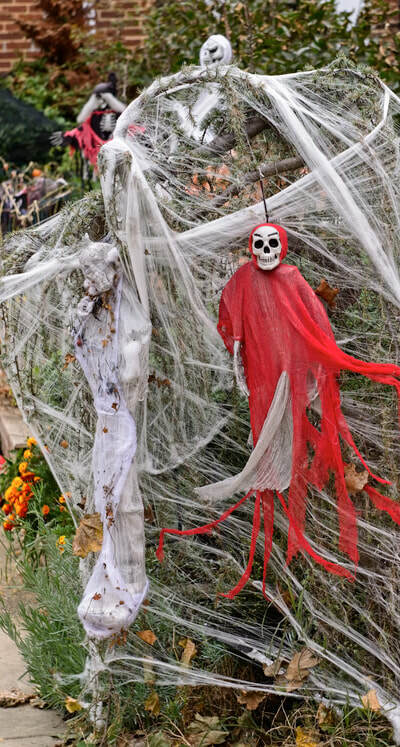 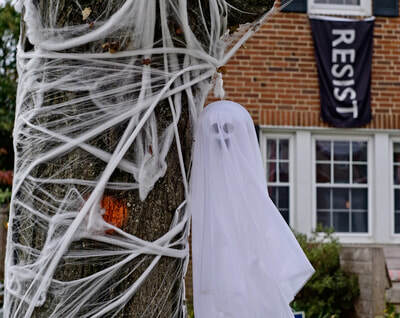 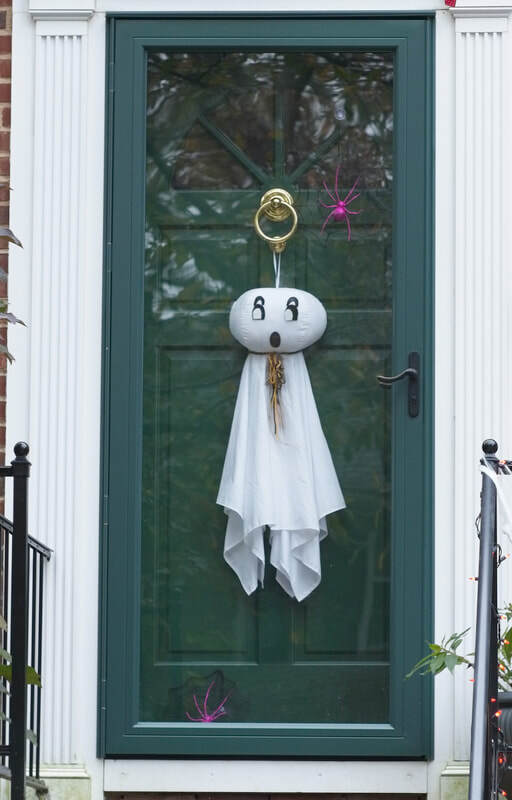 Many who live in Rogers Forge decorate their homes with goblins, witches, skeletons and other creatures-of-the-night to honor the Halloween spirit. 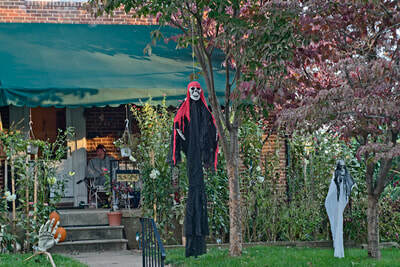 If you'd like to see the full series, download the PDF catalogue by clicking here.